“Whatever good news you take from here, go home and spread it around. Whatever good feelings you take from here, pass them on to those around you. Bloom where you are planted and share the beauty and love that comes from living out the love of God. 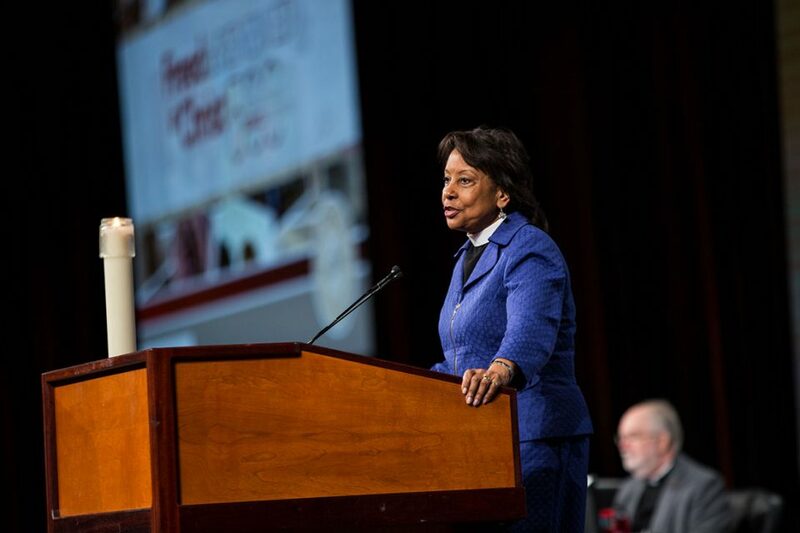 Make your harvest plentiful,” said ELCA Vice President Carlos Peña in his Church Council report to the 2016 ELCA Churchwide Assembly. 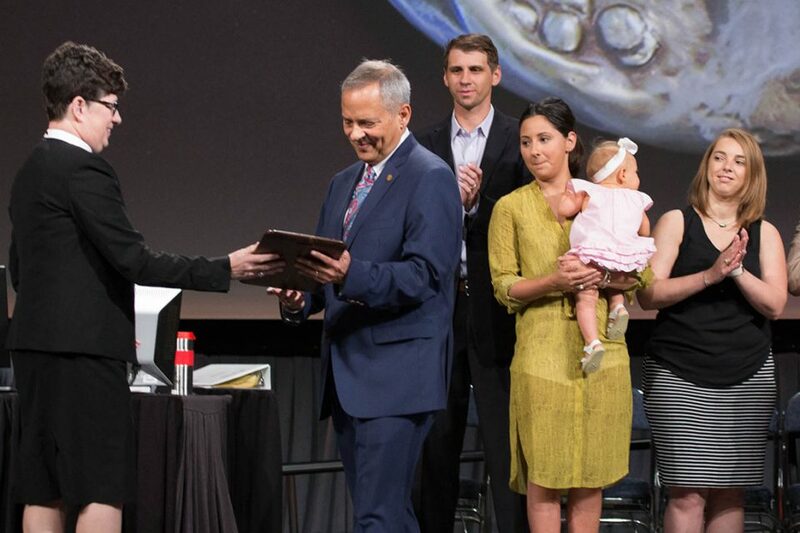 ELCA Presiding Bishop Elizabeth Eaton presents the Servus Dei award to Carlos Peña, who has served as ELCA vice president since 2003 and has decided not to seek a third term. “It’s been a great 13 years. And thank you again for all of your love and support and prayers during this time. Thanks be to God,” said Peña after receiving the award. 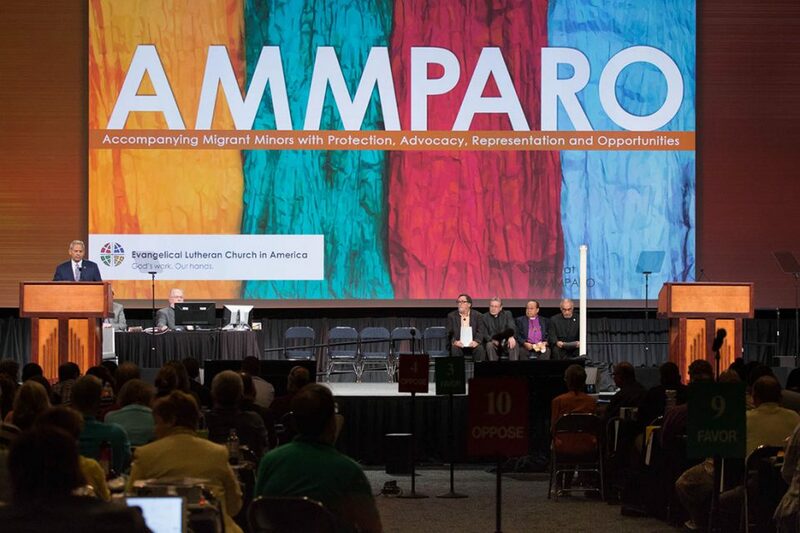 During the third plenary session, ELCA Vice President Carlos Peña introduced the Accompanying Migrant Minors with Protection, Advocacy, Representation and Opportunities (AMMPARO) strategy, one of the recommendations under consideration by the assembly. The word “amparo” in Spanish means the protection of a living creature from suffering and damage, Peña said. 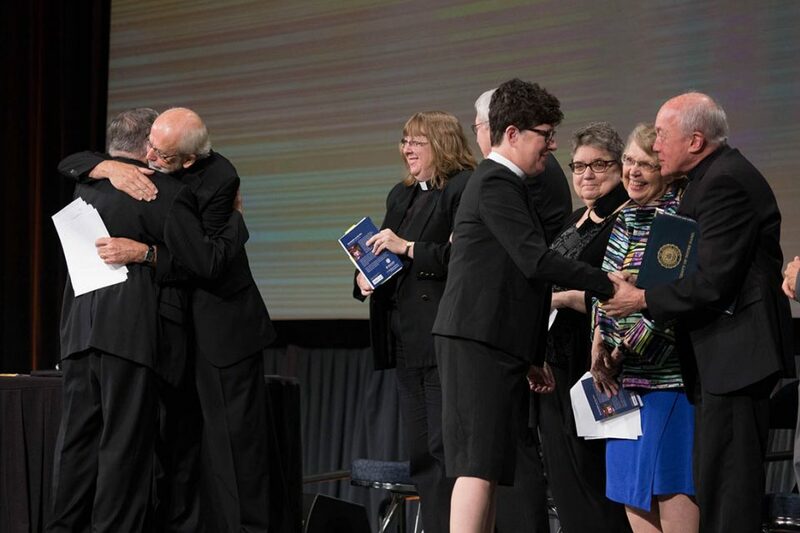 Mark Hanson, ELCA presiding bishop emeritus, and Bishop Denis Madden, auxiliary bishop of Baltimore, co-chairs of the Declaration on the Way task force, hug after introducing the statement of agreement. Eaton shakes hands with the task force members. “We are on the brink of the 500th year for the Lutheran movement. 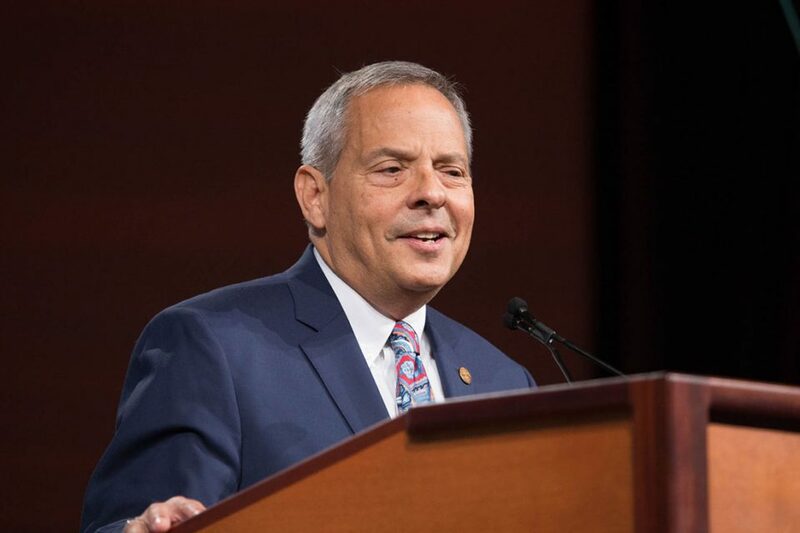 This anniversary invites us to look deeply into what it means now in the 21st century to be ‘liberated by God’s grace, freed and renewed in Christ,’ ” Hanson said.